How To: Free Clutch Spring Removal in 15 Minutes - A must do for manual trans! Starting a new thread as my old account was banned and I have received multiple requests asking for picture links to be fixed. Figure we can just let that thread die, and start fresh! The twins have a clutch spring that greatly reduces the strength needed to push the clutch in. This is actually a really neat idea from Toyota/Subaru, and it is the first time I’ve seen it used and it does a great job. However, this also leaves the pedal without any feel, making it much more difficult to drive smoothly. This spring can be removed with relative ease, and in under 15 minutes with a little know how. First, lets familiarize ourselves with what is under the dash. 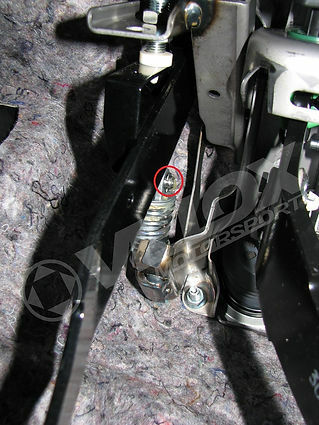 Circled in red is the spring assembly we are going to remove. You’ll want to slide the seat all the way back and place the flashlight so that you can see what you’re working on. I also cleaned the spring at this time, it’s fairly caked on from the factory. E-Clip is circled in red. 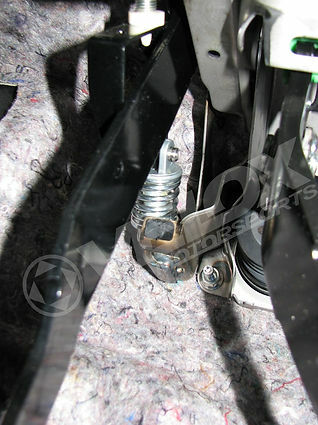 Looking at the assembly from the passenger side of the car, we see a clip (specifically called an “E” clip) that holds the stud in place. We will need to remove this. Needle nose pliers positioned to remove clip. Twist the E-clip so that the opening faces down. Using the needle nose pliers, one tong on each side of the clip, gently push up or hit the handle with your hand. Be careful not to lose this clip. With the E-clip removed, we are now able to remove the stud. The spring has considerable pressure, as I’m sure you’ll see, which makes removing this stud difficult. Depressing the clutch pedal (pedal on the ground), releases some of this pressure. Push the clutch pedal all the way in, and with the needle nose pliers, push the snout (E-Clip side) towards the drivers side. This should give enough room for you to use the needle nose on the other side of the stud. 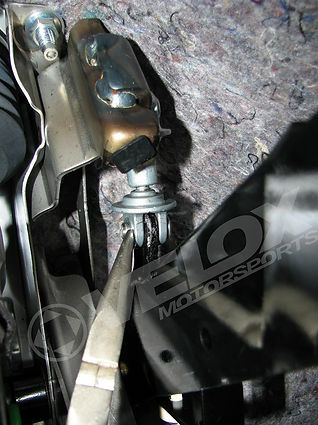 Using the pedal as leverage for the pliers, pull the pin the rest of the way out while the clutch is depressed. Next, using the flat head, push on one of the legs of the clutch clevis upward. This will take some force but it will come off! All the components off the car. Thanks for reading and let us know if you have any questions. General consensus from previous thread: This is the best free modification you can do to a manual transmission FRS/BRZ/GT86 to make the clutch pedal *feel* more like a normal clutch. After owning my car for 3 years, I decided to finally do this mod. I should have done it a long time ago, I like the pedal feel alot better and i'm sure driving will be smoother shifting between 1st gear to 2nd gear. Anybody on the fence should quit waiting and do this mod. It is not that hard to do. I read somewhere that this is actually bad for the car, can someone chime in on this? I actually wanna try this, but I don't wanna break anything in my car over something as simple as this. nope, not bad for car at all. That's all the assurance I need, before I do this. How does this affect aftermarket clutches that most of us are probably going to be installing in the future like ACT for example? 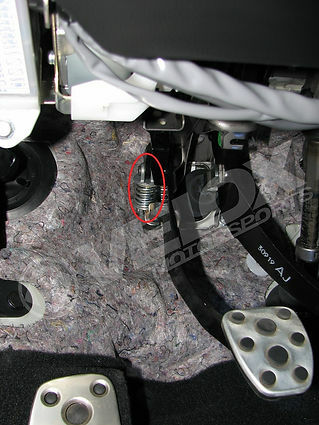 The purpose of the spring is to help people with depressing the clutch pedal to the floor. 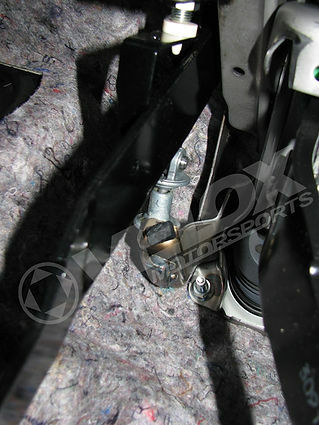 When you remove the spring, you remove the help, making the pedal harder to depress. So in the future, if you put in a heavier clutch, the pedal will feel that much harder to depress. Did this mod last year and haven't regretted it since. As to those who are worried about the clutch being too heavy after going aftermarket, I'm pretty sure there is an aftermarket helper spring (I forget who makes it) that still maintains the clutch feel while not making it as vague as the original. It'll have higher pressure vs a clutch-spring-installed car, but the upside is you'll know what the hell your clutch is doing! 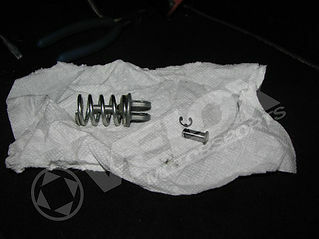 there is an aftermarket helper spring. In all seriousness, I'll reiterate what I posted in the other thread, by saying that this is one of the best mods I've done to my car in terms of driving enjoyment, and it's relatively simple, and FREE (besides time spent, of course). Do it! I did, and I agree. The clutch feel is much improved. Well worth the effort. And also in all seriousness, I swapped out the slave cylinder before this mod, then reinstalled it. Could be my ignorance, but didn't feel much, if any, difference. Maybe I'll try again. This really is a must for our cars. I thought I'd just forgotten how to drive because I could never get a feel for the clutch pedal when i first bought it. Removed the spring about six months ago and it was a whole new car. I did this mod a couple months ago. Definitely worth taking the time to do it. The clutch feels alot more traditional now IMO.